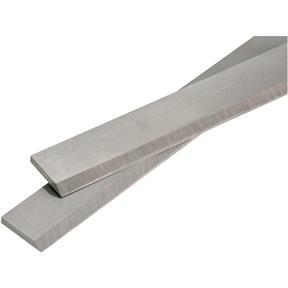 12-1/2" x 3/4" x 1/8"
Replaced old set of blades on used planer I purchased and was well worth the investment. They cut well and greatly improve the board feeding though the planer. Grizzly and their customer service are great, I had a small issue with this order and they resolved it immediately. These did such a good job I didn't even have to sand the boards after planing.highly recommend!!! 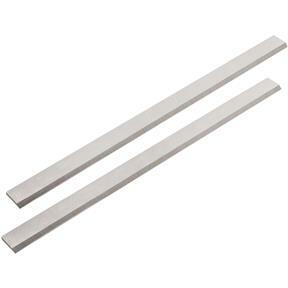 I purchased these to replace nicked blades. Was glad Grizzly had blades for a discontinued Planer. It's been a long while since I installed the previous planer blades and it took me some time to install the new blades, but they work very well now.